Wildlife galore for viewing or hunting! Close to Lake Burnita for swimming, canoeing, and fishing etc. 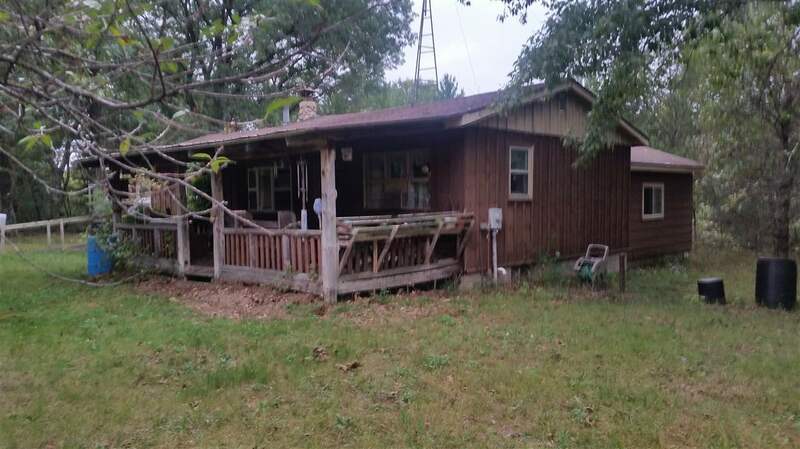 2 bedroom secluded home on 2.5 wooded acres. if you like peace and quiet this home is for you! Sit out on your covered porch on the Love swing or in the screened porch. Large 2 car detached garage for all the toys. Relax by the fireplace on those cold winters. Home needs some TLC and could be quite cozy. Priced $71, 000 below assessment. Home Warranty available for purchase. Possible Land Contract with good down payment. Being SOLD AS-IS.